An interesting look into the psyche of the Japanese game developer with some bizarre and often culturally confused imagery ensuring the action remains fresh and invigorating. 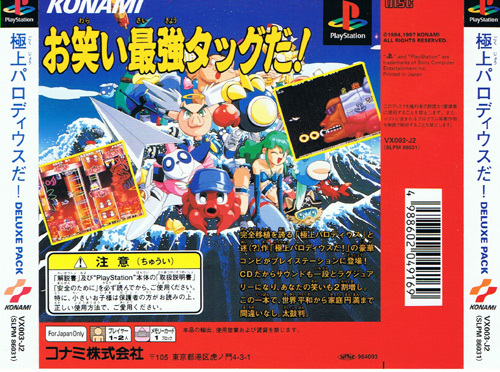 This is actually a compilation of the two Super Famicom versions Parodius and Ultimate Parodius souped up for the PSX. Second hand. Front cover creased on manual where it has had a drop of green tea spilt on it. 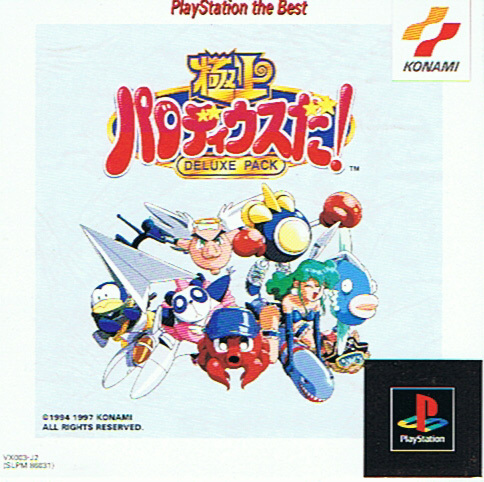 Please note this is the Playstation The Best version.